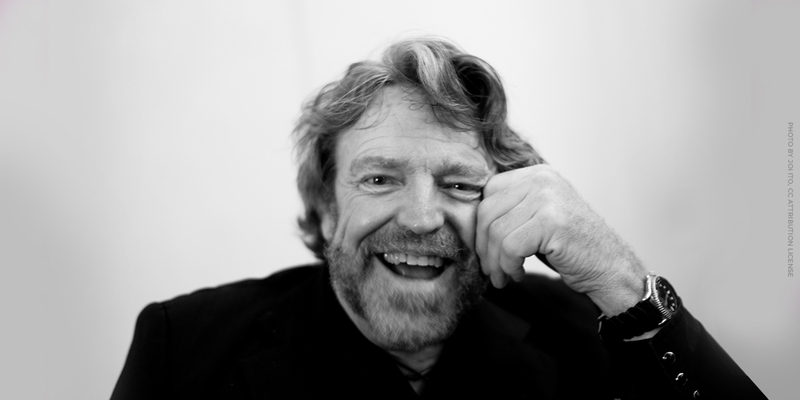 March 10, 1994 online debate between John Perry Barlow of the Electronic Frontier Foundation, and Dr. Dorothy Denning, over the Clipper Chip scheme, from the Time Online forum of America On Line. 3/10/94 8:49:41 PM Opening "Chat Log 3/10/94 CLIPPER" for recording. OnlineHost : Good evening and welcome to the Time Online Odeon! Tonight we look from both sides at the Clipper Chip, a semiconductor device that the National Security Agency developed and wants installed in every telephone, computer modem and fax machine. OnlineHost : In his article in the current issue of TIME, Philip Elmer-DeWitt writes: "The chip combines a powerful encryption algorithm with a ''back door'' -- the cryptographic equivalent of the master key that opens schoolchildren's padlocks when they forget their combinations. A ''secure'' phone equipped with the chip could, with proper authorization, be cracked by the government. OnlineHost: "Law-enforcement agencies say they need this capability to keep tabs on drug runners, terrorists and spies. Critics denounce the Clipper -- and a bill before Congress that would require phone companies to make it easy to tap the new digital phones -- as Big Brotherly tools that will strip citizens of whatever privacy they still have in the computer age. OnlineHost: "Lined up on one side are the three-letter cloak-and-dagger agencies -- the NSA, the CIA and the FBI -- and key policymakers in the Clinton Administration (who are taking a surprisingly hard line on the encryption issue). Opposing them is an equally unlikely coalition of computer firms, civil libertarians, conservative columnists and a strange breed of cryptoanarchists who call themselves the cypherpunks." RPTime: Lined up on our stage tonight are John Perry Barlow, Dr. Dorothy Denning and Philip Elmer-DeWitt. Barlow is co-founder of the Electronic Frontier Foundation, which promotes freedom in digital media. A recognized commentator on computer security, he is arguing against the Clipper Chip Dr. Denning is the chairperson of the Computer Science Department at Georgetown University. A leading expert on cryptography and data security, she favors the adoption of the Clipper Chip. Philip Elmer-DeWitt, TIME's technology editor will lead the questioning of our guests. Audience questions may be sent up using the Interact with Host function....Phil? PhilipED: Dr. Denning, could you *briefly* make the case for why we need the key escrow encryption system. DDenning: The government needs a new encryption standard to replace DES. They came up with a very strong algorithm called SKIPJACK. In making that available, they didn't want to do it in a way that could ultimately prove harmful to society. So they came up with the idea of key escrow so that if SKIPJACK were used to conceal criminal activity, they would be able to get access to the communications. PhilipED: THanks. Mr. Barlow, could you briefly make the case *against* Clipper. We'll see if I can be brief. We oppose Clipper in large part because of the traffic analysis which it makes possible. We believe that it is in the functional nature of the chip as designed to greatly enhance the ability of government to observe who we are calling, when, and from where, all fairly automatically and centrally. We also oppose Clipper because of the many way in which we believe the escrow system could be compromised, by people and institutions both inside and outside of government. PhilipED: Dr. Denning, what about John's contention that Clipper makes it easier to detect calling patterns. DDenning: I don't buy this. First off, for law enforcement to access any communications, they need a court order. Even if the communications are encrypted. Second, with a court order, they can get access to call setup information and find out what other lines the subject of the investigation is talking to. This is of much more use than anything in the encrypted stream. PhilipED: John, is Dorothy right that you need a court order for call set up info? Barlow1: Dorothy, the government asked for and received over 100,000 calling records last year without a court order. I see nothing in the Clipper documents which indicates that they would require a court order to get this kind of information, which each chip would make readily available to the entire network. DDenning: You need a court order to do implement pen registers and dialed number recorders in order to find out who is talking to whom. Barlow1: Furthermore, my faith in court orders has been eroded by 30 years of government wiretap abuse. Barlow1: But that's only with the present system where putting a pen register on a line requires physical entrance to a phone company site. PhilipED: One for a pen register (to track calling patterns in real time) and one for phone records. RPTime: Let's take a question from the audience... How would you guarantee that this facility will never be misused? If you can't make that guarantee, why should a democratic society, with a prohibition against prior restraint, consent to this? John Barlow? Barlow1: There are three different sources of information, as you say. But there are not three "hurdles." That sounds like a question for Dorothy. I don't think we should, obviously. DDenning: First of all, there has been no evidence of widespread abuse of wiretaps since passage of the 1968 and 1978 wiretap statutes. Second, there are a lot of security mechanisms going into it to protect against abuse. Third, it will provide much greater protection against illegal wiretaps than we have now, since almost all phone conversations are in the clear. It will make virtually all illegal wiretaps impossible. Fourth, if for some reason it doesn't provide adequate protection, we can destroy the key databases and everyone will have absolute privacy against government wiretaps. I don't think our society will tolerate that kind of abuse. PhilipED: John, isn't Dorothy right that you're better off with compromised encryption than none? DDenning: I was talking specifically about wiretap abuses. And there hasn't been any evidence since the 1978 law. RPTime: Care to respond Dr. Denning? DDenning: Clipper would prevent the watergate burglars from getting anywhere since they wouldn't have a court order. Clipper will not make wiretaps cheaper or easier. Wiretaps are becoming more diffiults. And there will always be more agents involved becasue they have to follow exacting procedures, including minimization (throw out all conversations that are not specific to the crime at hand). Barlow1: Dorothy, they were from the *Government* remember? I can't imagine that Nixon wouldn't have been able to find a sympathetic ear from somebody at NIST and somebody else at Treasury. Further, you're not talking about the truly insidious element of this, which is dramatically improved traffic analysis. Content is less important than context, and most agents will support this. RPTime: Another question from the audience. JCMaille asks... Does the government have a constitutional right of access to my personal communications? Dr. Denning, why don't you go first? DDenning: The Supreme Court ruled that wiretaps with a court order are Constitutional. At one time, communications were not even protected under the 4th Amendment. The government could wiretap without a court order! Now a court order is required. PhilipED: To put the question another way, do citizens have a right to use powerful encryption? DDenning: Right now there are no laws preventing the use of any encryption. Clipper is voluntary. You can still use something else. PhilipED: Dr. Denning, in your opinion... would a law outlawing powerful encryption be unconstitutional? DDenning: I don't think so. But that doesn't mean it will happen. RPTime: John Barlow is back with us. Sorry for the interruption! Barlow, Denning just said she didn't think a law banning powerful encryption would be unconstitutional What do you say? Hi folks. Don't know what happened. Gald to be back Gald indeed! PhilipED: John, can you make the case why ordinary law-abiding citizens need powerful encryption? Barlow1: Because it is in the nature of digitally networked communications to be quite visible. Everytime we make any sort of transaction in a digital environment, we smear our fingerprints all over Cyberspace. If we are to have any privacy in the future, we will need virtual "walls" made of cryptography. RPTime: Another audience question... Isn't this like the gun argument? If guns are outlawed only criminals will have guns? Well, if clipper is standardized, won't criminals be the ones NOT using it? RPTime: Dr. Denning? If Clipper becomes the de facto standard, then it will be the chief method of encryption. That would be what you'd get at Radio Shack. What criminals use will depend on what is readily available and what their cohorts are using. Both parties of a conversation have to use the same thing. Criminals also talk to a lot of people outside their immediate circle - e.g., to buy goods and services. Also, they can be quite stupid at times. But the main thing is that criminals will not be able to take advantage of the SKIPJACK algorithm as a way of concealing their conversations. This is the whole point. It is not to catch criminals. It is to allow people access to a really high quality algorithm in a way that someone cannot use it to conceal criminal activity. Barlow1: The gun analogy is excellent up to a point. I can't for the life of me imagine why we would think that even a stupid criminal would use Clipper if something else were available. And when I talk to people in the administration their big hobgoblin is the "nuclear-armed" terrorist. Any fanatic smart enough to assemble and detonate a nuclear device is going to be smart enough to download PGP from a bulletin board somewhere. Also, I'd like to point out that the gun analogy doesn't go the whole distance. Crypto is by its nature a purely *defensive* technology. You can't shoot people with it. PhilipED: Speaking of PGP, Dr. Denning, is that encryption system secure, in your opinion? DDenning: I don't know of anyone who's been able to break the IDEA algorithm that it uses. RPTime: Back to the audience for a question from Steve HW.. This is for Dr. Denning. What is the evidence of harm if the Clipper proposal is not adopted? DDenning: The harm would be to the government. They would not be able to use it and would have to resort to something less secure. Also, Clipper is part of a larger project to make hardware available for encryption and digital signatures. This will be used, for example, in the Defense Message System. The goverment needs a new standard. I personally believe that making really powerful encryption like SKIPJACK available without key escrow could be harmful to society. Wiretaps have been essential for preventing and solving many serious crimes and terrorist activities. DDenning: CPSR and others are asking the government to drop Clipper. Barlow1: long time. There are plenty other algorithms which we can use which are truly protected... unless of course, this is only the first step in a process which will outlaw other forms of crypto. And I believe that it must be. Makes absolutely no sense otherwise. EFF is not asking the Government to drop Clipper, though we would vastly prefer they did. We're merely asking that no steps be taken to require it either by law or practice...as, for example, would be the case if you had to use a Clipper chip to file your tax return. PhilipED: Dr. Denning, do you think this is the "first step in a process to outlaw crypto"? DDenning: No I do not. The government has not been using SKIPJACK to my knowledge. The Clipper initiative represents the first time that the government has put one of their really good algorithms out there in the unclassified arena. They are trying to do this in a way that won't backfire against the public. Other NSA developed algorithms are not available for purchase by the public. Barlow1: I appreciate their willingness to make some of that crypto research available to a public which has paid so much for it, but I'm afraid that I would never trust an algorithm which was given to me by any government. And I certainly don't trust a classified algorithm like Skipjack, even without a back door which everyone can see. I think I'll stick to systems which have been properly vetted to be clear of such compromises, like RSA. I hope others will do likewise and that RSA will become the standard which Clipper shouldn't be. RPTime: Time for one more question from our audience... To John Barlow. Isn't society becoming increasingly vulnerable to concerted criminal/terrorist disruption, requiring *stronger* law enforcement tools? Barlow1: Gee. I don't know. It's a scary world. However, I'm willing to take my chances with the few terrorists and drug lords there are out there rather than trusting government with the kind of almost unlimited surveillance power which Clipper and Digital Telephony would give them. It's a touch choice. But when you look at the evil perpetrated by government over this century in the name of stopping crime, it far exceeds that done by other organized criminals. RPTime: Dr. Denning, hasn't remote listening technology enhanced police abilities to eavesdrop to the point... where the loss of a few wire taps won't mean much? DDenning: No. They need to get the cooperation of the service providers to implement a wiretap. The loss of some wiretaps could be costly indeed. As an example, wiretaps were used to help solve a case that involved plans by a Chicago gang from shooting down a commercial airliner. There have been 2 cases where they helped save the lives of kids who were going to be kidnaped for the making of a snuff murder film. They helped solve a case where a man's house was going to be bombed. I could go on. If we take John's arguments about law enforcement to their logical conclusion, we'd just get rid of law enforcement. I think it's better to have it. The people in law enforcement hate it as much as the rest of us when some member of the community does something wrong. And they correct it, design new procedures and laws where necessary, and go on. Barlow1: Oh, please. I'm not proposing eliminating police. I'm opposing giving them unlimited powers. Also,these are the same cases cited over and over by everyone from you to Judge Freeh. Surely, we aren't going to fundamentally change the balance of power in this country because of these two (undocumented, to my knowledge) stories. DDenning: Clipper is not going to change the balance of power. It does not give law enforcement any additional authority to do wiretaps. Barlow1: Well, this is where we basically disagree, Dorothy. If we could continue the same level of LE capacity we presently have, I'd have no objection. But I believe, for reasons I'm not sure we have the bandwidth to discuss here, that we are talking about dramatically enhancing their abilities. For one thing, we would greatly reduce the bureaucratic overhead involved in wiretap, which is what keeps it under 900 cases nationwide at the present. DDenning: The overhead of a wiretap is more likely to increase, not decrease. RPTime: THAT will be the final word! Barlow1: Well, let's get together and talk, Dorothy. RPTime: TIME thanks Dr. Dorothy Denning and John Perry Barlow for being with us tonight... along with Philip Elmer-DeWitt. Thank you all, and goodnight! Thank you both. This was very interesting. DDenning: Thank you for the opportunity to be here!